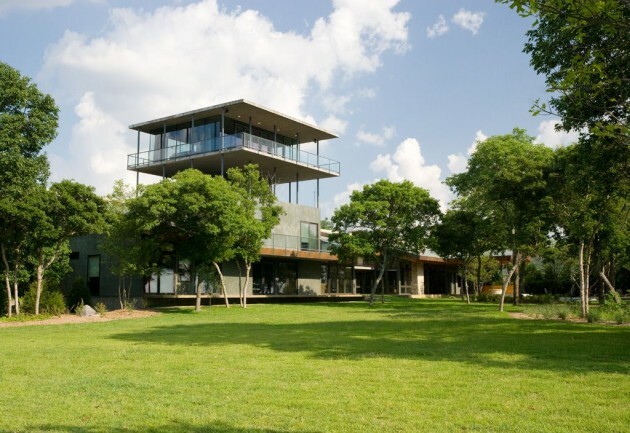 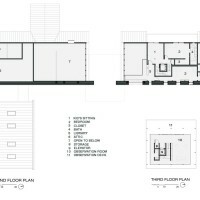 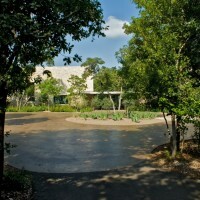 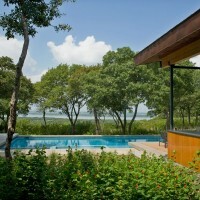 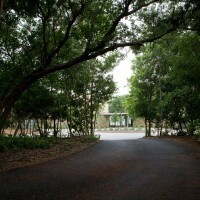 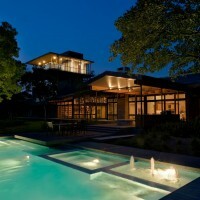 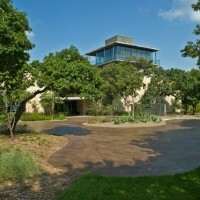 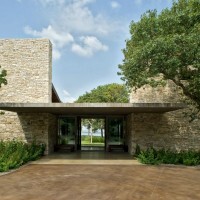 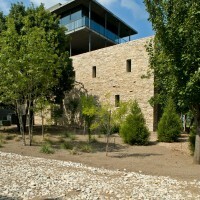 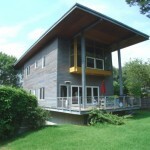 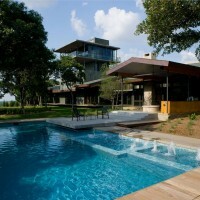 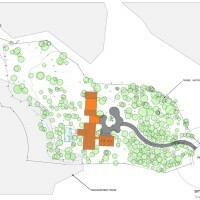 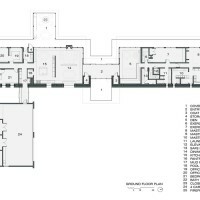 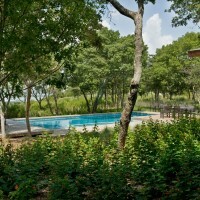 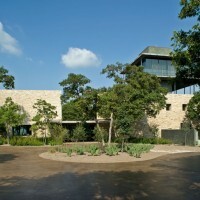 Cunningham Architects have designed a home in Cedar Hill, Texas (a suburb of Dallas). 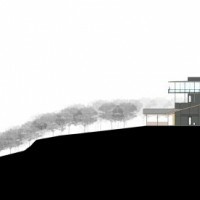 Situated at the edge of an escarpment zone, the house is organized along a native, stacked stone wall 182 feet long and 21 feet high. 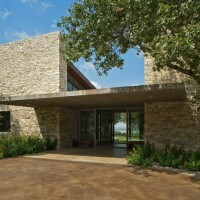 A cantilevered concrete canopy serves as an interruption through the wall into and through the house, briefly allowing views through the dense brush of the site towards the open vista to the west. 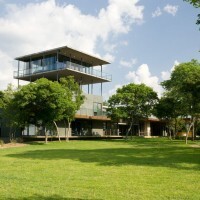 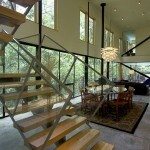 As a counterpoint to the long, low house nestled within the native vegetation, the observation tower at the northern end of the house elevates the occupants above the tree tops. 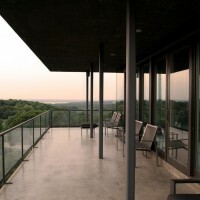 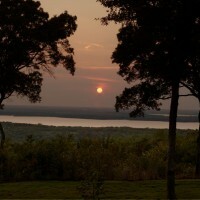 Magnificent views of several thousand acres of protected habitat, along with distant views of Dallas and Fort Worth make the tower a favorite perch. 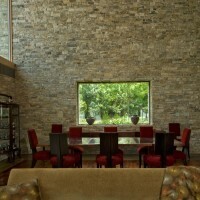 The east facing wall is a highly insulated load bearing masonry wall faced in native fieldstone. 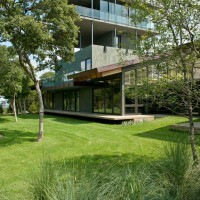 The mono-sloped roof is composed of 10″ SIPs on laminated wood beams, allowing 8′ long cantilevers over the west facing glazing. 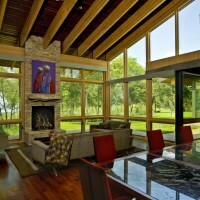 Simple slab on grade concrete floors are punctuated by inset end grain Mesquite wood zones. 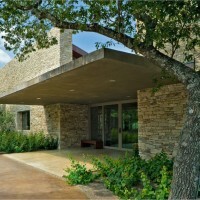 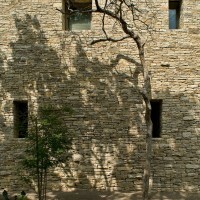 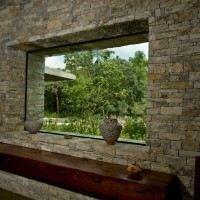 Natural pigmented cement plaster, other Texas woods, copper, slate and glass round out the material palette.